Efficient workflows rely upon work being deployed between users according to logical routes and rules that everyone can follow with ease. The trouble is that competing procedures are often in place which often create unnecessary slowdowns. Even software which is supposed to create conduits for workflows can generate inefficiencies because they are legacy systems which are not always fully compatible with one another. At Brandon Cross, we have the technical know-how to overcome these issues and to provide for twenty-first century workflow solutions by developing and deploying customer workflow software. A custom workflow solution can revitalise any organisation in the way it goes about its business. Bear in mind that workflow software should not simply be about assigning tasks or follow up enquiries to other members of staff. Genuine workflow solutions provide software systems which improve productivity through well-defined processes, rather like the individual stages of a production line, for example. At each stage, work can be identified, quantified and – if the system is designed expertly enough – pinch points and blockages can be identified. As such, customer workflow software should enable staff to get on with what is most important to the business as well as providing a powerful management tool. That’s why you should turn to Brandon Cross. We have over a decade’s worth of experience in listening to businesses and charitable organisations about their workflows and how to improve them with fully tailored software. Our solutions take account of the fact that activities may take different paths through their workflow processes and that integration with other systems – such as CRM, process control and stock management – is also the key to success with successfully managing workflows. 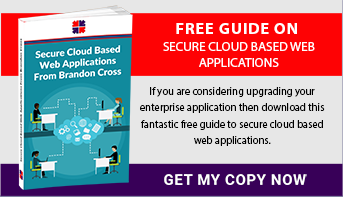 If you are interested in workflow solution software from the point of view of web-based apps, then download our free guide – Secure Cloud Based Web Applications. The guide provides insights into the future of cloud-based technologies, especially so far as workflow software is concerned. As an alternative, why not simply pick up the phone and talk to us? We’re transparent, friendly and – above all – experts in what we do.